The long days of summer are behind us, replaced by mists and mellow fruitfulness, and autumn’s golden light. It’s been sweater weather for months in the UK, but I’m not bitter. Eat apples. Knit. It’s my favorite time of year. Thanks to writer Beth Trevor, and reader Sage, of Qn. Miss Hergapiten was written and performed by Zabet Stewart of the AntiCraft, with music by Lee Maddeford. Tim Ralphs of The Room Behind the Bookcase was the Lakeland catalog. Beginning knitters, Clapotis will help you learn things, is a great pattern. Over 6000 Ravelry knitters have knit this pattern, and 6000 knitters cannot be wrong. Looking for the perfect yarn? Try Yarndex. Find the yarn, then knit my favorite socks from Hand Knit Holidays: Knitting Year-Round for Christmas, Hanukkah and Winter Solstice The Orphan Foundation of America needs your red scarves to help college students in or coming out of foster care to know that their community supports them. Knit en Francais, with French language podcast, Pastagalaine. Additional music, Russian Roulette, by Lee Maddeford, and Coffee Beans and Tea, by Marti Buttwinick. Ravelry has an advanced yarn search that is quite useful, as well. Hi Brenda – I use the latest Firefox, and see no floating sheep. Also, I keep up with CastOn via Bloglines’ RSS feed reader, and have not heard any commercials for Saturn (not that I would mind). I’m located in North Florida – we do have Saturns here. Hope this is helpful. I adore your podcast. I started listening to it for the knitting and have been hooked by the music choices. I noticed you mentioned an itunes list you could create that will help other listeners to purchase those tracks from iTunes. Please do this! I would love to purchase the tracks you showcase, but I would not like to have to purchase the entire album for each artist. Please don’t demise your podcast! Everybody is obsessed with the US elections and are so worried about what will happen that normal life is severely disrupted. Hi Brenda! Enjoy your visit and know that I’ll be waiting by the computer for your return in November!! You’re the best! I love you I love you I love you! And shame on me for not commenting and telling you earlier! I’m a lazy listener. Since I must not have the authorities come after me I will get those keys moving. I love your podcast! It’s like hanging out with an old friend. Ever since the first one I was hooked! Thanks for all you do; it is more than you can imagine. Brenda – each podcast is a treasure – thank you, thank you, thank you! Do you suppose that the SPCP doesn’t realize that besides the comment area on the blog you also have the drop area and regular e-mail and phone messages??? Maybe they aren’t checking everywhere. The humor in this podcast was wonderful but it’s hard to keep knitting when I’m chuckling so hard. I always look forward to your podcast. I’ve always wanted to live in the UK, you lucky babe you!!! KNIT ON!!! Dear Brenda, love Ms. Hurtakitten, AKA She Who Must Be Obeyed. Cast On Mobile Unit is too cute. Thank you for the explanation about last month’s random appearance of the Saturn ad. I live and listen to Cast On in Seattle via iTunes. The ad came through loud & clear, albeit, unexpectedly. When I heard the ad, I assumed it was an iTunes glitch, or a sinister Capitalist plot to infiltrate our pure haven of podcasting & knitting idealism. My reflex response to the ad was to Banish It! Having calmed myself and given it rational thought, my feedback is this: Cast On is interesting, informative, thought provoking, and fun. I would miss it and you terribly if the podcast was discontinued. It takes a great deal of your time, energy, thought, and financial resources to produce Cast On. You deserve recognition and reward for your hard work, dedication, and creativity. If accepting ads from a multinational corporation will help make you financial secure and will make it easier for you to continue producing the Cast On, then go for it! i clicked the sheep and voted! i’m glad to see that you can find a source of income from the ads–i would just like them kept to a minimum. i’m thinking anything that gets you paid for all your efforts and keeps you on the air as long as possible is something that i can support. the music was wonderful this episode and i was SO excited to come across it as soon as it went up because i try to avoid looking everyday to see if there is a new episode posted (heehee). but there it was right there in front of me!!! have a lovely time with your friend–i’ll try not to check repeatedly until october. I’ve been listening to your audio since the first podcast, when I was so entranced and so happy to find such a wonderful thing! I listen to you when I’m down, in the car on a very long car trip (my husband now knows your voice as well as I do), and when I’m stressed out at work on a deadline. (I’m sorry I’ve no cookies to share, I’m hoarding mine – we’re all a bit worried over here in the states about the money, & the politics. We’re stocking up on baked beans and peanut butter). I clicked on your sheep and voted. Do they have the option for you to select ads that are relevant to your content? I may not be as annoyed to hear an ad for say a spindle or a yarn or an upcoming fiber event. It would also be great if the ad went where you told it to. I did only hear one ad but it played every time I listened to your podcast. I am not sure if this is in line with how you said it would function. I do very much love listening to your podcast. It’s so well put together and thought out! Have a great day! Hello Brenda, I am so sorry for not commenting on your podcast for a looooong time. I adore listening to cast-on! I save your podcasts for flights to and from Helsinki where I often go for work. They have a fantastic fibre culture over there and I get 3 hours of flight knitting either way. Thank you for making work travel so much more enjoyable, I actually look forward to getting on the plane if I have a new Cast On to listen to. Well in response to the KGB-themed plea for love and affirmation here goes…. I only started knitting a year ago, while living in China and thus cut off from knitting mags, groups and the like. But Chinese women love to knit and I was nurtured in my endeavours by friendly fellow knitters (we spoke knitting, my Mandarin doesn’t run to fibre discussions) and podcasts. So as I travelled around South East Asia and spent many long nights on sleeper trains hurtling through the countryside I would lie awake listening to hours and days of knitting wisdom while I hacked my way through my first few cardigans. A fellow resident of Cymru I even got a double hit – knitting and Wales. I listened to you interview people from the Museum of Welsh Life as I hiked down the Li river, broiled in Vietnam and cycled through jungles in Cambodia. So thank you – you helped make me passionate about knitting and it’s relationship to the environment and social history. And as a leftie who has long felt left out in the cold by the course of politics in this country you helped me to see that there were other left-leaning, environmental, feminist, non-bigoted communities for me to be a part of. I mean knitting, Wales and socialism – dear God woman, that’s quite a package. So – there you go. Your podcast had a big impact on my life in the last year. And as a writer for radio I salute your exquisite writing, delivery and production. Superlative. Now was that enough love?! P.S. Stop killing spiders. Gird your loins, woman…. It’s a spider. What do you think it’s going to do: tickle you to death? Dont Kill Spiders It Did Not Hurt You!!!!!!!!! love the ‘cast, it makes me laugh and makes me think ( both are good separately, but together?? that is so rare!). I’m new to knitting and listening to podcasts ( less than a year for both) and I’m amazes and delghted that there is so much of both out there. Keep on keeping on, Brenda, you’re doing a topnotch job! Also, I’m 100% behind you on the spider thing. Yes I am very sorry for the slow and horrible vacuum-cleaner death, but a big spider can cause a potentially fatal case of the heebie-jeebies. Sometimes you just have to save yourself. I, too, enjoy your podcast. Thanks for the info on “Yarndex”—very handy. I guess I haven’t found the tool on Ravelry just yet. Enjoy your break—I have your early podcasts archived, and those will keep me busy for a while. I wait eagerly for the last Saturday of each month, for my Cast-on fix. However … they appear to have been growing shorter, as well as less frequent. I must admit disappointment. Just leave the mic on … think out loud … ramble … describe yarn in your stash … any yarn-, fiber-, or knitting-related topic will do. I just want more!!!! Susan, who loves to knit while listening and who wasn’t able to accomplish much during this episode. I love your podcast, sorry for not saying so at the beginning and every episode since. I will be impatiently waiting for the next new episode. Thanks for all your hard work! Well, I’m a lurker too, coming out of hiding to give you lots of love! I have listened to you since the beginning, and I love your podcast, voice, content, etc. I understand your wanting to make money to keep it up, but I HATED the Saturn ad. It was in the middle of your podcast…is that the direction your going in? Is that what will become of all podcasts in the future? The best part of them is that it doesn’t have ads, in this world of advertising blight. In my part of the U.S. they are talking about putting ads on the ‘amber alert’ signs on the freeway, as if having electronic billboards on every corner, and whole high rises that are entirely covered in ads isn’t enough..grr. Sorry, just ranting. My first listen to your podcast, found it through Ravelry and glad I did. 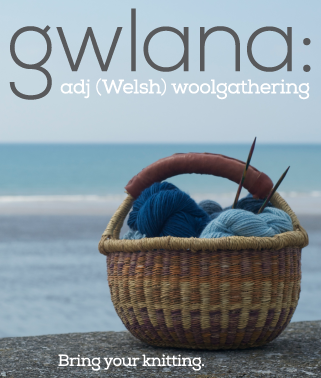 Always nice to hear about fellow knitters in S.Wales and especially here in Swansea!! I discovered your podcast last year when I took knitting back up. You do an absolutely fabulous job and I love listening to it whenever a new episode comes out. I did not hear the Saturn ad in your podcast last week, so I guess I’m one of the lucky ones who don’t have a clue about it. But if I were you, I would talk to whomever is responsible for how the ads get placed and tell them it was inappropriately placed and not to your liking/wishes. And if they fix it to where it’s in an appropriate place, I do not think it would bother me much to hear it. But if it’s bothersome, then have them removed? Just a thought 😀 Keep up the good work and enjoy your month off! I love your podcast, but I’m not a good writer so I can’t think of good comments to leave. BUT I really love your podcast. Seriously. Love it. Its always such a nice surprise when my podcast downloader informs me that you have a new podcast available! Another great use for Yarndex (especially pre-Ravelry or for people who don’t use Ravelry) is to look up yarns that a pattern calls for so that you can find alternate yarns. Especially nice if the yarn is unavailable in your area or unsuitable for some reason (contains a fiber you are allergic too, doesn’t come in colors you like, too expensive, etc). I used to work in a yarn shop and used it many times to look up a yarn to find out its gauge and other characteristics and then searched for an alternative that we carried. Far be it for me to piss of Miss Hergapiten; she sounds even scarier than Mrs. Grizzle. So here’s my first comment! I absolutely love the podcast. I weave more than knit these days, and your podcast has helped me through some really intense projects lately with firm deadlines. I’m definitely in favor of the ads if it means you’ll be able to continue podcasting. Thanks for your amazing contribution to the knitting world. I don’t mind the advertising as long as it is short and doesn’t happen in mid-sentence…not to mention mid-word… I find the very beginning or the very end is the least distracting, it is what they do on the CBC Radio podcasts I listen to. Well I heard you wanted to see more postings on your blog so…here I am posting. I just found your blog last week so really this is only the second podcast I’ve listened to ..didn’t think I should email yet but you asked for it!….Thanks so much for the cast I am quite enjoying it though I’m sad to hear you’ll be off in October…I just found you and now you’re gone…oh well guess it will give me time to listen to your old pcs…see you in Nov have a great month off! ps. great humane spider catching ad….what a great idea! though it would be nice to lose the “dancing bears” referral…..otherwise loving it! How fantastic to hear Cerys Matthews again– Catatonia gives me warm nostalgic feelings too– one semester at University of Wales at Aberystwyth. Her voice is as amazing as ever. Good ol’ Aber! Thanks for that, Brenda. Thanks for all your hard work and effort at putting out these podcasts… Whenever I see a new episode of Cast On show up in itunes, I always want to immediately download it, grab a coffee and sit down and knit while it plays. (Today I finished up a hat while listening to your show – and then cast on for another hat. I managed to finish half of the new hat at pub knitting so it was a very good knitterly Sunday). I love the podcast, would like you to be able to continue it, and did not hear the ad – fortunately. I have to say I absolutely hate the thought of ads like this, whereas I absolutely do not mind you talking about certain fiber related companies or products or, of course, about the wonderful companies sponsoring your podcast. I only donated once before, and will again now with the sincere hope that others will do too, and that that will keep you from inserting ads. Maybe that was your intention 🙂 If so, smart move! Loved the podcast, as always! You should have hugs and whole baskets of delicious podcaster cookies! I agree with Usch above, I would rather pay a subscription fee or something similar than have advertising, unless it’s fiber-related, which i never mind at all. I do NOT want to be responsible for demising a podcast! So comment I will. As for the advertising, I responded to the survey and said that I do not mind it (though I didn’t hear it). I will add to that by saying that any means by which you get the compensation you deserve is fine by me. You’re awesome, Brenda, and you more than earn your pay. ummmm….so my question is how seriously do you want us to take this SPCP message. it is cute, zabet did a great job, i loved the accent, and i appreciate it for those reasons. but some of us may also be feeling that the scattered, unreliable nature of the podcast this summer may be more responsible for the lack of input from your listeners. I’m just catching up with your latest podcasts. They’re wonderful, as usual. I love them even when you sometimes sound like the bossy older sister from my childhood. Your podcast music is fantabulous and I love, love, love the little balloon sheep watercolor by Amy Weber. Her stuff is the absolute best and everyone should go to her website and buy a tiny piece of her art. I know you keep raving about it, but I’ve yet to knit the clapotis scarf. There were a bunch of clapotis scarves at the Minnesota State Fair this year but none of them won blue ribbons like MY alpaca cable scarf did!! Anyway, keep doing the great podcasting because you are very talented and wonderful and gifted and wise. Someone should create a lovely little shrine in your honor. Right next to the much larger and more luxurious shrine in MY honor. Love You!!!! I am loving that you are back podcasting regularly! I missed the podcast while you were away. 1. About the adverts? I didn’t hear the adverts but I am all in favour of you getting income from the podcast. In fact, I think by any means possible, really, in order that your time and effort is properly valued. In many ways, I wonder why you don’t have a subscription system for your podcast where listeners pay to get it. I have felt at times that financial issues dominate the podcast slightly and I don’t know how I feel about that; on the one hand, I think it’s great that you bring up the issue of how to make money doing what you love (it is a very big and important issue!) and on the other hand, I don’t always want to hear an update on how the money side of things is going. Does that make sense? So I think the advertising is fine. To my mind, the advertising seems to be a way that you keep the podcast free to your listeners, so if people don’t like the advertising, maybe there is another way you can make money, like a subscription or something. 3. I agree with an earlier comment that this episode of cast-on felt a bit short. Hope that all makes sense… I thought these comments might be useful even if they are not all 100% positive. Keep doing what you’re doing, get paid for it and have a nice break during October! I have comments on two things, 1. advertising and 2. comments. 1. Do what you have to do. Your podcast is the best knitting podcast (and if I’m not mistaken, the first). It sounds like a program you’d hear on the radio and you never ramble on and on about nothing or laugh incessantly at your own inside jokes. You clearly put a lot of time, thought, and energy into each epsisode and I appreciate this a lot. Your podcast is the one of the only knitting podcasts that I consistently listen to all the way through. I also love the music and Cast On has introduced me to some of my new favorite artists. If you need to make some money off of the podcast, by all means, go right ahead. You should be getting something for all of your hard work and a 30 second commercial is no big deal. 2. This has probably already been said, but the reason for fewer comments is very simple. There have been fewer and shorter episodes over the last few months, so there has been less to comment on, but I don’t think there’s any lack of love for or interest in Cast On. I was just listening to the podcast, and I caught the little clip en français. I’m looking to improve my French in preparation for a move to Quebec, and would love to look up this podcast to listen to, but I didn’t see a link in the show notes and I’m not quite good enough to be able to pick out the title of the podcast. I did a search in Itunes and couldn’t find it either, so could someone please tell me where I might fine it? I listened to the last two episodes today through google reader. Episode 68 had some pauses/dead air…I’m thinking perhaps they were the Saturn ads??? Today I only heard one ad and it was in French, I have no idea what it was about! Strange an ad in French would be played here in Illinois, does that mean I’m a fringe Canadian? I have no problem with you hooking up with this corporate ad thingy as long as you are comfortable with the products that are being promoted. I won’t go as far as to say, nor presume, you “endorse” the products, but I am hoping you have some tiny bit of say what they (the advertisers) are using your space/listeners for. First of all, I have been listening to Cast on from the beginning and look forward a treat in my iTunes. I was especially happy to realize that I had not one but TWO podcasts to listen to this weekend when I got a nasty case of strep. The ONLY thing that made me feel in the least bit better was your voice, repetitive motion, and very soft alpaca. Thank you. Listening to Cast on has made many Saturday mornings much happier when it becomes apparent that cleaning up is no longer optional. As for the ads, anything that brings us more Cast On and rewards your hard work is a good thing. I believe the NPR podcasts I used to listen to had short ads at the beginning and end of the podcast and it wasn’t distracting at all. You’d have to listen to a new one to confirm, since there is only enough room in my hard drive for the best. Cast on pushed out NPR, how’s that for a compliment!?! You want comments? You got comments! Thanks for all the cool info this week, especially for yarndex! You will be sorely missed in October, but warmly welcomed back in November. My life is in almost as bad shape as the US economy and you keep me going. Thanks, Brenda. I always listen to your podcast but have never commented before. The Russian lady scared me very much, so here I am. I started listening at the end of 2006 and worked my way back trough all the episodes. I listen to more podcasts, but you are my absolute favorite! I missed you this summer and I’m glad you are back on a more regular basis. Have a nice october break! As far as advertising goes, I don’t think I can complain seeing as how the podcast I have been enjoying so much would still be coming to me free. No, I don’t like them, but the money has to come from somewhere, doesn’t it? I had been eyeing Clapotis for quite awhile but the pattern looks so…involved. I didn’t think I was up to the task but with your encouragement I’m going to give it a try. On the upside, I already have some yarn that I think will be very pretty for it. On the downside, it is currently knit up in a front and back for a tank top. I ran out of yarn for the straps so its been sitting for, oh, maybe a year or so. I’ll have to research the best technique to salvage it (and then my fiancé will frog it for me so I won’t cry over all that work…). Thank you for taking the time and effort to create something that gives such pleasure to so many. I didn’t get the podcasts with the Saturn commercials. But I am all for you being able to make some advertising money for all the hard work you do. I say GOOD FOR YOU! Another great podcast, as usual! It must be Clapotis season… I just cast one on a few days ago and am making smashing progress (I have a deadline of less than 2 weeks). It is indeed a good learning piece and thus far has been a pleasure to knit. As usual, it’s always great to hear Zabet and Sage on the podcast. It’s like having a party with friends that you never see all together. Keep up the great work! Thanks for making my cubicle dwelling life a bit more bearable. Hi Brenda, i just discover your podcast and i love it. Already hear all the podcast. Sorry for my english but i´m from Mexico. I save your episodes for the times I need some help to get through the day. Your good humor, warmth, moments of ritual humiliation, and spiders make it all better!!! Thank you for another wonderful episode! I do not mind the ads (when appropriately located and timed) and if they keep you on the air and give you some income for your work then have at it. You are brilliant and should be paid! And, as someone above said there is too much crazy going on right now; to loose Cast On would push me over the edge! I do hope you enjoy your break time! I am looking forward to your Halloween Pod-aversary episode! ps – Oh, thanks for Zap Mama – I love them!!!!! OK, OK, I’ll de-lurk if it will make you happy. I just didn’t think I had anything unique to add, but here goes. Many thanks for so many great podcasts. I listened to most of them all in a row, as I’m a recent fan, and now I wish I’d taken my time. I eagerly await your next installment, and will have a dull October without you! I am also a Firefox user and don’t see a floating sheep. But I am skilled at ignoring advertising, and so if it brings you income, and it can be inserted unobtrusively, go for it. HI Brenda – Enjoy your month off with your friend. Happy knitting and look forward to a new series in November. Keep podcasting – we love you! I can’t be the only one excited about this–thank you, thank you, and merci for including the promo for the new knitting podcast in French, Pastagalaine. I didn’t see a link on your blog, but googled it, found it, and signed right up. You were my first knitting podcast way back with your first episode, and you set the bar really high for all the others I’ve listened to over the years. I’ve been known to tell chilly people to “put on a sweater; that’s what they’re for.” Long live Cast On. Well, we certainly can’t have the comments police after us now can we;) Love the podcast as always. I do have to say i don’t mind commercials… that is as long as there not cutting up the content. For a second I was thinking you were getting hijacked by rogue saturn hackers!! Addless in Canada. Dear Brenda, It’s not that I don’t want to comment every time and pretend you’re my new best friend, but I feel you are such an icon that my two cents (Canadian pennies ain’t worth so much) are meagre. I dram of joining you in Sea Socks, but first I’ll have to knit some pretty impressive clothes to fit in. I haven’t missed a show since I started listening in the early days. Please know that as a knit sib, I think of you often, share your stories and laugh outloud while I’m listening and walking the dog. Non-knitters are bewildered. If you have ads then you will feel more oblidged to podcast therefore more podcasts ngah ngah ngah! No seriously, podcasting is lots and lots of work and you are the best podcaster of any genre, your voice is perfect just as the Age of Innocence could be sold as a $100+ audio books, a cd of your one season of your podcasts could be sold for $30+. I hope you have a great break, looking forward to hearing for you soon. I am shamed into commenting, too 🙂 🙂 And maybe a leedle, teensy-weensy bit s..c…a..r…e…d……. You deserve forest-fulls of comments, dear Brenda! I love the little sound effects you use – I know enough about broadcasting to know it takes time (and dedication) to source and place the exact right ‘FX’, but honestly, it’s worth it. They’re part of what puts your podcast in the premier league. Other podcasts are fine, and I like a lot of them, but Cast On is the only one I really lurve. will miss you this month! have a great break. I LOVE YOUR PODCAST!! I enjoy it everytime and listen while I paint cartoons for Nickelodeon. We in Los Angeles just had Summer come upon us in late September and it is currently over 100 degrees on Oct. 2nd here in Pasadena. Yeah…I know, you are in the middle of wet, cold weather not having a Summer but wanted to let you know that some places aren’t having Fall knitting weather yet! Still knitting tiny objects that don’t roast my lap..But…I’m still listening and keep do what you are doing. IT”S AWESOME. Can’t wait to hear your three-year anniversary special…. I wanted to leave a bit more of a coment about the ads. I am pro you being viable and continuing. If corporate ads are what it takes, I can live with that. I don’t see why YOU should take the costs of somethign we all get so much pleasure out of. It’s not right, it’s not fair, and it isn’t sustainable. Perhaps at the start and the end might be less disruptive? As I listened to the episode with ads in (which I didn’t hear – sometimes being tardy/geographically ignored is useful!) I several times thought happy thoughts to myself. At no other time do I feel as connected to and accepted by the worldwide community of knitters as I do when listening to cast on. It gives me such a feeling of place – my place here, your place there, all the other places where people knit and listen, knit and listen. All of us sharing this… joy. These twin joys. Knitting and CastOn. I am worried, not just that ads will ruin our comfortable afternoon tea on the lawn (my turn to bring the lemonade). I am worried that it will split us up, into lots of seperate experiences. Not necessarily of those who hear the ads and those who don’t. But those to whom the ads are relevant and those to whom they are no more than gabble. I am very pro the geographic targetting, because the second I hear an ad for something that I can’t have, or that is irrelevant in my antipodean world, I start to feel less a part of the family. I feel like CastOn is a world apart. And I like it there. I am worried that these new, hard, cold ads (not like the soft, warm, fibrey, vetted and hand picked ads) will burst the bubble. However. I’m pretty sure I’ll get over it. See above comments re viability. I totaly support you doing what you have to do to make this work for you. I would rather have ten ads than no cast on. Brenda, this is Maria (knittbythe thames in ravelry) from London just dropping by to say that I love your podcasts and that I have no problems with ads. I think it’s great that you get to earn something while you do something that you enjoy and have a passion about. Sorry that you are taking the month of October off but hope you have a great time with your friend! I loved this weeks theme. Both my grandmothers were great knitters and crocheters and learnt a lot from them. That’s something that I’ll take with me forever and I hope to pass it to somebody one day. I didn’t hear no ads during the podcast. Of course, if they’re geotagged, I’ll probably won’t have ads – unless some big companie is interested in selling cars or whatver in Portugal. I don’t know if you have many portuguese listeners… But as you were talking about the ads I remember the podcast when you said you wouldn’t take any sponsors you wouldn’t believe in. I mean, I really think that you having sponsors is a good thing and I really think you take a close look the their work and way of being. The ads, as you described it, seemed a different thing. It doesn’t seem a very personal thing. On the other end, if you ask me whether or not I would continue to listen to the podcast with ads, the answer is, undoubtly, YES. So I guess it is a personal choice you must take by yourself. Look, my clapotis is growing! I listened to the podcast this time around to hear how everything turned out (didn’t expect to get featured! ), and I think this is all coming full circle quite nicely, not to mention it gives me a good excuse to knit for a long period of time. I am eternally indebted to you, not just for helping me escape my little Spartan jail cell every few weeks, but also for giving me this lovely Merino to work with : ). You’re going to do even more great things! Love the show as always. I just taught a coworker to knit this week too, but I started her with a “learn to knit piece”, not a project, so she wouldn’t feel obligated to make it square or to make it without intentional holes…. I wanted to show her the music video (I think it’s by a French artist) where the blue sweater she is wearing unravels during the song. I’m pretty sure you mentioned it a while ago, but looking back on the blog I couldn’t find any direct mention of it. The only thing I thought it could be was the youtube link for episode 37 (Millwright) but the link doesn’t work. Any ideas? Here, here take these cookies! No, don’t harm me. Eat, eat. I adore you. You lovely, lovely, fuzzy, warm podcast. You make me happy. Here eat. Be happy, too. Great episode as always Brenda ! Thank you. The French artist is Camille and the song is “Ta douleur” (http://www.youtube.com/watch?v=XIuyVAXvf1k). Long live Cast On ! Brenda — I am dutifully leaving a comment! I love listening to your podcast. Its a great companion to my power walk, sure makes the whole exercise thing go so much faster. The good news — I’ve lost some significant weight. But you should talk to us more often! Waiting to hear from you again in a month or so…..
Hi Brenda! Clever “floating sheep” link! On my download of this episode, there were no ads. What about ad(s) relating to the fiber arts instead? Well I am a college student who is perhaps unhealthily fleeing into the world of knitting podcasts (although admittedly this is less unhealthy than the majority of my classmates, who have fled into the world of blackouts & vomit), and I discovered yours. I must admit, I am not so much of a podcast commenter, but you have shamed me into commenting. Um, I find your podcast hilarious, and am downloading back episodes more or less at random. I probably will not comment on those, but I’m sure I will comment at the end of October when you come back. P.S. Is that really how you pronounce Clapotis? I never knew . . . While I know you need to be supported for your work, the whole reason I listen to podcasts is to avoid anoying advertisements. However, if you do decide to made ads a permanent addition to your show I will still be a devoted listener. On a lighter note, I just returned from the Wool Festival in Taos, NM. I spent the day educating my 5 year old son about where yarn comes from. He got to poke rabbits, sheep, goats, alpacas and llamas. (I’m sure he enjoyed it more than they did.) And I got to sink my hands into buckets of wonderful hand-made fiber and hang out with other fiber addicts. What a great day. Taos is a two and a half hour drive from my house so I downloaded old episodes of Cast On and listened to it the whole way. Fairly new listener here, delurking to say that I enjoy your podcast. While I’m not excited about the idea of ads in the middle of a podcast, it wouldn’t make me stop listening. If there must be ads, I’d rather have them at the beginning than in the middle. I swear I was going to comment (even before I got the slap on the wrist) to say how great it was to hear Cerys Matthews in the podcast. I love her voice and it took me back to university when I was a huge Catatonia fan. I promise to make the effort comment more regularly in future – I really do love the podcast and it does give me a lift when I see that a new one is available. It’s only fair when you put so much hard work into each episode to give you the feedback you deserve. I think that I had assumed that you’d be getting so many comments that one more or less wouldn’t be missed but of course if everyone thinks like that then you get no comments at all! Delurking to say how much I love your podcast. I listen to it while writing papers, during car rides, or (shock!) while knitting. It makes my day. Thank you thank you thank you for the tremendous amount of time, energy, and money you put into this podcast. You rock. As to the ads- I didn’t hear the Saturn ad, but I don’t think I would mind it too much. Of course I would prefer not having ads to having them, and having knitting-related ads to car ads, but I understand that they’re necessary for money. I’ll still listen no matter what. Please don’t use the Saturn ads. Corporate ads on podcasts just don’t make sense. We don’t need corporate ads on our personal podcasts…I kind of think of them like pbs and it rubs the wrong way. Esp. when it is so many of the corporations that are getting away with ruining our planet. BTW, I didn’t have a floating sheep, so I had to write in to vote in. Also, Love your podcasts, it totally has inspired me to knit and knit more. I love the music you chose as well!!!! You have the greatest voice for podcasts, I love listening to you. I am excited about the fall weather and sitting home more often to just knit and enjoy the cold weather (and rain) here in Amsterdam. I can live with the ads, I voted. Great podcast as usual. Cast On is a great podcast. That’s a given. Economics is all about supply and demand, no? So I ask myself – if I had to pay per download of Cast On, would I still listen? And regretfully, the answer is probably not. There are too many competing forms of entertainment. And I am cheap. And my budget is squeaky. Then I ask – what if there were advertisements? Would I still listen? And the answer is yes, I wouldn’t be annoyed enough to stop listening. But I would be annoyed. But what would annoy me more? If I had donated money to supporting a podcast that then went commercial. That would really rankle. But then lots of people pay for cable television, filled to the brim with commercials. Should people who make really excellent podcasts be financially supported for their (not insignificant) time and effort? And to what degree? And what about people who do so without compensation? Does setting a price on something give it more inherent value? How is success measured – by the amount of satisfaction given to the listeners or to the podcaster? By the advertising revenue generated? What if the podcaster can’t devote enough time to putting together a high-quality podcast without compensation? Does having donors set up expectations for future podcasts or is it to be considered thanks for previous podcasts? I love love LOVE the podcast. I also would like to say one fo the reasons I would not comment when you’re not uploading new podcasts is my experience with online writers who upload their written chapters one at a time, and it seems one of their pet hates is dozens of comments saying “please please update, we love you, give us our chapter and our stuff”. I’m much more likely to sit and wait and see if you updated, and desperately control myself from sending you comments and emails every day begging for more podcasty goodness. So I guess some people don’t want to feel as though they’re harrassing you for something which is, essentially, something they’re getting for free. Good luck, and I for one would be quite heartbroken if you stopped podcasting. Every new podcast I see as another gift. Thank you! Brenda…I’ve been a devoted (yet lurky) listener…sorry for not having posted before but here I am to be represented as an Avid Listener….Keep it going!!! I made a comment earlier this week that seems to have disappeared. Over the last several months you have said repeatedly that you have considered discontinuing the podcast. When episodes appeared infrequently and inconsistently over the summer, I and probably many others assumed this was podfade. It’s really not fair to your listeners to ask that we leave comments telling you how much we love the podcast while you’re losing interest. As my grandmother would say, it’s time to sh1t or get off the pot. I’m a new-ish listener, and I absolutely love your podcast! Were you the one asking how to pronounce Etsy? If so, think of the name Betsy, but without the B. If not, well, it’s still pronounced that way, but just know that I’m a absent-minded knitter, and just had a brain-fade whilst re-counting stitches. I’ve been relistening to episodes 60 (“The one with Annie Modesitt”) to help get my thoughts straight about Cast-On and advertising. I wish I remembered where more of the relevant discussions were. And every time you try to stuff these all in the same suitcase, one of them comes poinging out the other side. They simply don’t all fit. Never will. Corporate sponsorship DOES imply some tacit approval of the sponsor’s business. It DOES mean that you’ll look over your shoulder and wonder whether they’ll disapprove of next month’s essay. I think that we, and you, would be much happier if you entered into that kind of interdependence with your listeners rather than with Big Knitting, Saturn, or some bulk ad consolidator. Please, allow your listeners to provide fiscal support for Cast On. Many won’t, some will, and for every dollar that comes in that way, it’s one less bit of influence you have to sell to an advertiser. I have been enjoying listening to your podcast after a friend recommended it to me this summer. I started from the very beginning, and also listen to the new episodes as then are released. It has been interesting to see the evolution of your podcast, it’s variations and changes over the months and years. I know that you put a lot of time, thought, and energy into producing this wonderful podcast, and I appreciate it very much. And yet I do have some feedback for you. It feels invasive and disruptive to hear ads for cars or pleas for attention when listening to a podcast I subscribe to in order to relax and go inward. I like to listen while I knit, or when I am busy and unable to knit. This is my personal time, a time I spend reflecting on my knitting, the knitting you describe, and whatever else is going on in my life that day. Corporate ads (especially from the auto industry) feel out of line with your podcast’s style and what you stand for. Because I know you prefer constructive feedback, here’s what I feel would be more comfortable: ads for products, services, or events relevant to the fiber community. If the ad provides information, substance, or entertainment that pertains to my life as a knitter, I see no problem putting it in the podcast. As far as comments and cookies go, I know it feels great to get feedback. This is not the only way to know people are listening to your podcast, or that they are enjoying it. Trust that your subscribers are listening and enjoying your podcast, and when they are moved to leave a comment, they will do so naturally and without prodding. In producing the podcast the biggest challenge I face is one of balance. It is a balance of time – that spent on the podcast, recording, interviewing, editing audio, and answering email, with time away from the job, pursuing other activities, equally important to me. It is also a balance of information – that which you need to know about my life, with that which you probably don’t. Deciding what to share and what to keep private is an ongoing process, and it’s a constant struggle to hit that mark just right. Most importantly the podcast requires a delicate balance between the limits of my own physical and mental state at a given time, and the kind of emotional honesty that is absolutely essential to the job, and impossible to fake. What makes audio such a powerful medium is this sense of authenticity. I can’t fake it, because you would know. To sound upbeat and inspired, I have to be upbeat and inspired. This past summer was very challenging for me as I faced the loss of a much beloved friend just a few short weeks after visiting her. Add to that my associations of Jean with my knitting life and you can see how it might take me some weeks to be comfortable back at the microphone. The downside of being a one-woman show is that there is no one to pick up the slack when health issues, or personal crisis make work impossible. I hope you will show me the same consideration that you’d expect in such a situation. As for my commitment to Cast-On, never doubt it. Cast-On has been, and continues to be, an important part of my knitting life. As you are not privy to what’s going on behind the scenes it may seem at times like I am not working on the podcast. But know that I am. I used the time over the summer to work on web development that will make the next evolution of Cast-On even better and more rich, as well as allow me to earn a living from this work. With regard to the latter, your feedback is invaluable, and I am grateful to those of you who chose to comment on this issue. I must complete my agreement with Saturn, but the ads have been moved to the very beginning and end of the podcasts, where they are less intrusive. I will continue to evaluate the variety of options available to me and you can rest assured I will find an appropriate solution. It’s a question of finding the right balance. Finally, thank you so much, knitsibs, for your feedback on this latest episode. It is not, of course, a requirement that you post a comment here, but it helps enormously to know you’re out there listening, enjoying the music, and thinking about the things I’ve said. If you’re experiencing Brenda-withdrawal in the next couple weeks, go over to CraftSanity.com and listen to Episode 22. It’s a wonderful interview that even includes Tonya briefly. While you’re there, check out the huge archive of interviews with crafty folk. They’re a lot of fun. Brenda, In the last podcast you were looking for “theme music” for your drop—How about Life By the Drop by Stevie Ray Vaughan. Hey Brenda – here are my thoughts: If having advertisements from companies from which you can ethically receive support will help you to earn a real living doing this podcast, then for heaven’s sake, do it! I love your podcast – I relate to a lot of things about you and your life (in ways I cannot even mention here for a number of reasons). Your podcast provides a great deal of thought, comfort and solace (yes, comfort) and helps me to see my favorite craft activity with new eyes. You have a beautiful speaking voice and your thoughts are worth the listen. You also are willing to learn, admitting (in those moments of ritual humiliation?) that you might have been wrong about something. How NOT like so many in the public eye – and how absolutely refreshing! I love hearing about your knitting projects, I love your guest lecturers (for want of a better word), I love hearing about your personal life and your quest for meaning within it and the angst and philisophical questions you raise. Your blog is about the examined life – one worth living. And I truly love it. If you need a break, take a break. I’m not going anywhere:) You are not IBM, you’re a human being and you’ve lost a dear friend, and you are dealing with the pain and conflict of having a family you love scattered all over the place. Of course you need to regroup! Just so you know, I’d post a comment every week, but I am particularly sensitive to maintaining appropriate boundaries after working a number of years representing victims/survivors. Perhaps others feel similarly – that they should pass the virtual “mike” over to others? Anyway, before I end this long-winded comment, I want to thank you for doing a shout out for the Orphan Foundation’s Red Scarf Project and just for being yourself. I think I speak for many when I say that’s good enough for me. But I will welcome you upon your return. New listener here…certainly enjoy the podcast…disconcerted by on-again/off-again nature of broadcasts…also think it is mighty cheeky to complain about lack of comments then to announce you’ll be gone for a month. les sighes. Hi Brenda! Long time, no chat… I’ve definitely fallen off the comment/email/Skype/podcasting bandwagon, but whenever my next episode comes out, it will explain all! 1 – I’ve been loving my return to LISTENING to podcasts, and yours continues to make me happy. Please accept my apologies for not telling you more often. 2 – I know darn well just how long it takes to make MY lower-production-level podcast, and can only imagine how long it takes to make yours… and I’m not going to suggest that you tack on any other work (like writing a book, or spending your time seeking out fibre sponsors) to support the kajillion hours you are already putting in. 3 – People grow, and change, and experience more things the longer they live… and it is totally understandable that your views on accepting advertising have changed and grown over time. If We The Listeners haven’t jumped quickly enough on the opportunity to support you with regular donations (whether or not a podcast is always forthcoming… life happens, y’know? ), then We The Listeners should certainly be able to close our eyes and think of roving through a short audio commercial or two or three (or however many it takes to pay you well). It is just advertising, no one is making us actually pay attention., though I often appreciate the creative forces behind good, entertaining ads! 4 – The people who are ragging on you for lack of production (or for DARING to ask for more comment-cookies) should be locked in a room and forced to produce some episodes in the middle of their busy lives, with little to no feedback via comments to see just what it is like. Pffft. 5 – Yarndex is great: got a pattern that calls for a specific yarn, and doesn’t tell you anything other than its name? Yarndex will give you gauge, needles, a general fibre description… we use it in the yarn shop all the time when folks bring in old or international patterns. Ravelry gets used in a similar way: want to know what a certain pattern looks like, done in different yarn? Ravelry to the rescue! Brenda, you asked for comments, so here I am. Only, I was moved by something else as well. You talked about strange spiders in the night, and the BBC responded. http://news.bbc.co.uk/2/hi/science/nature/7573530.stm Yes, the UK is reporting that spiders are touristing in just to come visit you, or perhaps to get revenge on their buddy in the vacuum. No rush to get the next episode going, but remember, you’re going to want your sibs with sticks to be backing you in the spider invasion. Since you asked, I’d rather the ads be “sponsored by” in the beginning and/or placed modestly at the end. That way, it doesn’t interfere with the content in the middle. Plus, you work so hard to achieve even rhythm and pacing – it would be a shame if the technology misbehaved like it does in tv. All comfy and watching something relaxing… then BLARES “COOL NEW CAR”, so you settle and try to pay attention to the cozy and relaxing, and BLARE “NEW CLEANING PRODUCT”. It’s so bad that I can’t stand to watch tv without DVR anymore. I’ve even reached to rewind the radio when I’ve misheard something out of habit. I know that advertisers get concerned over that issue, but I know who sponsored what I’m watching, and I have been known to be too lazy (or knitting busily) and watch a bunch of ads, especially at the end of a show. I’ve even watched ads on You Tube, just because they were interesting (European versions or the Corn Syrup controversy ads). So, however it works to make you happy. You’ve inspired me to get back onto blogging and perhaps doing a few podcasts. I also live in one of those areas where the tourists flock like swallows, so maybe someone would like pictures of the autumnal colors of Minnesota or tales about the rivers. I know my NY relatives love to hear about “I was driving along and a juvenile bald eagle tried to side swipe me. I’m NOT kidding!” or baby bears in trees. Well, I seem to be the minority here, and I admit whatever keeps Cast-On alive is fine with me, but I’d prefer to not hear advertising from multinational corporations. It just rubs my ethics the wrong way. Of course, I’ll keep listening, but those are my thoughts. 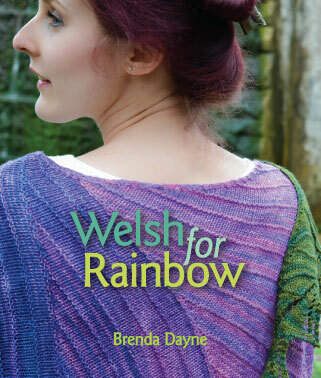 Thanks to all Cast-on listeners for lending me Brenda for my visit to Wales this October. We’ve been best friends for donkey’s years and it means the world to me to get to spend time with her. Thanks!!! Hi Brenda! I’ve been listening to you all along. I downloaded your first podcast shortly after it was available and I have listened to every one you have recorded. Heck, I downloaded your podcast when I had to burn it to cd to listen to it. Your podcast, along with Marie Irshad’s, was the reason I bought an iPod. I commented once, in the beginning, but haven’t commented since. I’m proof that you can not judge the popularity of your podcast by the number of comments you receive. But you should know that–I mean, 1,000,000 downloads should speak louder than a hundred or so comments. I love the Saturn ads. I like their cars, I like multi-national corporations, I like that you can sell ads and get the income. You deserve it. Wow – two comments in the same week – how’s that for boundary-challenged, LOL!? Quick thought – not to dump on Saturn, but have you thought about Subaru? They are doing a lot of superb glbt-friendly advertising here in the USA. Just sayin…. Brenda, Have a happy few relaxing days off, but do come back! Way back last year (?) you announced that you were making a wedding dress the same week I discovered that I was too; the synchronicity of our two similar events glued me to your podcast! So, you rest and I’ll wait right here for your return, head phones on, sticks in hand. I LOVED the Russian defender of podcastdom. I suspect that was actually you -if so, you have a hidden talent and must display it more often. I think this character ought to appear on your podcast again. Hi! I’m a brand new listener (…from Norway, that explains my bad english…), and episode 69 is my first podcast ever. It’s a new world – this podcast-thing, and I’m thrilled, that i can listen to knit-podcasts! Your podcast have been recommended by several knitting-friends, and I must say – I’m not dissapointed 🙂 …even if I AM a little bit scared after the KGB-kind-of-threat ;-)(but I’m willing to do what I have to do to keep listening to you) – I’m alreaddy waiting in exitement for the next episode! Regarding advertising. Well, you have to get support and if you can keep it to reasonably responsible corporations, then why not go for it? If Exxon ads start showing up, however, I may have to come over there and smack you. 😉 I’d love to be contributing tons of cash for my listening pleasure, but I’m currently in graduate school and, well, that means a mountain of debt and no spare cash for anything. I hope to graduate in the next year and land a “real” job, which means I can start lowering that mountain and contributing generously to things that I believe in and bring joy to my life, like Cast-On. Who are you going to endorse for president of the United States? We knitters want to know. I love your podcast and would hate to see it go! The ads are a necessary evil. I’m just happy to hear they will only arrive in the beginning and the end. Thank you…keep up the good work. For fear of reprisal from the podcast police, I’ll comment! Thanks for making me laugh and keeping me stitching. Brenda, your listeners definitely see themselves as your support group. Do you feel it? However, the ad placement was really dreadful… cut into the podcast, a blaring noise in the middle of a show chapter. It definitely detracts from all of the careful mixing and editing that you do. P.S. Your ears had to be burning when you produced this podcast… all of us on the 2009 Italy Souvenirs in Stitches trip were talking about you! I love your podcast, your voice, your convictions and the clarity with which you state your thoughts. Mea Culpa for the measly and few comments I’ve left in the past. Your time and effort are gifts to us – your devoted knitsibs! If advertising keeps you in the financial position to keep giving us the podcasting gems that you do, I say do it. I have maybe commented once in the past. I have been listening from the start and enjoy your podcast immensely. As a teacher, someone who talks literally ALL DAY LONG, I relish my quiet time knitting and having my iPod on to listen as I meditate. I consider (and often later explore) the ideas you present, the news that you share, and forget that the process can be interactive. After all, I am alone with my needles and yarn. I frequently listen to the podcast at my convenience, sometimes weeks after the original release date. I am not the type of person who yells at the TV or radio. Rarely have I written a note of complaint to anyone. There are so many who are more effectively vocal and who are eager to share. Interestingly enough, I teach a multimedia class where I teach my grade 8-12 students how to make websites and podcasts, among other electronic pursuits. I ask them to consider their messages, what they want to accomplish with their messages, and how they will measure how effective they have been. Do you measure your impact through the number or downloads, the amount of people who comment, or some other barometer of effectiveness? As for advertising on your podcast, not even US “public” radio or TV is truly ad-free. If a multinational corporation wants to attempt to influence my purchasing power through supporting podcasts that explore philosophical issues and investigate the meaning found in craft, I do not see the harm. It seems kind of win-win. Hi Brenda – I’ve been missing you, and I’m glad I stopped by. Your note explains everything, and I’m so sorry to hear that life has been challenging. Take your time. I’m confident that the sun will come out one day soon and give you the energy you need. The advertising? By all means, go for it. Given the quality of your production and the size of your listenership, I hope they’re paying you well. Thank you, please don’t kill the blog! Thanks for your hard work – we are out here and we are listening – sorry for the lack of responses. Oh my dear, I’ve missed you. I was listening so faithfully last spring and then a series of things happened (including misplacing my ipod for two months! Why was it in the instant-oatmeal-packet box? ), and I was on hiaitus, apparently as you are now. And now I’m caught up and must go seek out other knitting podcasts (poor me, eh?). It was wonderful to hear your voice, your humor, your thoughts. I can’t imagine going through what you went through to design that bamboo sweater (I think that was a podcast or two ago). I can barely modify an existing pattern with success. As to ads, on the one hand, I support you in wanting the podcast to have a steady income. That is important. On the other, I figure I’m paying with my wallet, or my ears. I’d rather pay with my wallet (and will be donating right now). But it’s not as though ad placement will prevent me from listening. It’s hard to think what would prevent me. Your being boring? Nah, that’s not going to happen. Your killing innocent spiders? (chuckle) Nope, I’m still here! As long as you continue to talk about yarn and needles in your charismatic fashion, I’ll be here. Knit on, my friend. You just picked up a new listener & fan! Love it, I’ll be listening to all the ones I’ve missed and all the new ones too! I have enjoyed your podcast tremendously. I listen to many, and find that your professionalism and exacting standards have a wonderful rippling effect on other podcasters. Thanks so much for all the hardwork, and the delightful music. The music was an unexpected bonus for me. I thought I was just getting some knitting and good times. Did not know that I would benefit from the discovery of excellent tunes too. As requested in your podcast, leaving a comment here for the first time! I was just catching up on your last few podcasts as I knit away at one of my last custom orders for Christmas. Working from home as a knitting designer, I love having your podcast to listen to as I work. There are always inspiring ideas and great music, and it makes me feel really connected to the knitting world. Thanks so much! Oh noooooo! I’m at the second to newest podcast. I know it’s coming. Soon I’ll be one of the mass, I’m going to have to WAIT for new Cast Ons. I’m gutted. For the last 6 months I’ve been slowly creeping up to this point. I thought that I’d never get there…. I couldn’t wait to catch up. And now what do I have to look forward to? I shouldn’t have done it, but I’ve hurried up only to wait. DAMN! Foiled again. Brenda thanks for entertaining me for 70 hours! my gosh… time flies. My xmas gift to you is coming via paypal. Many thanks for a job well done and happy holidays! I don’t suppose Miss Hergapitten would be interested in dropping in on the Frequency? She’d be welcome any time, and I’d even bake cookies! Guessing the sheep have stopped floating, but FYI the Saturn commercial, not that I mind, is at the end of the podcast. It didn’t interrupt anything for me. Also, I don’t mind the commercial. It wasn’t in my face, didn’t last long and I can see a benefit for you, not to mention, while I work for a different manufacturer, I suspect some of your listeners drive/purchase/maintain cars. I’m an occasional listener, but should have at least told you I enjoy listening from Detroit. I’m in the process of listening to your archived programs. You have a perfect voice and tone of serious/humour for this work. Please consider this encouragement to continue your work. Lisa, I read EVERY comment that comes in, even the ones on the older episodes. Thanks for stopping by! Thanks, also, for letting me know about the Saturn ad. If you downloaded the file while the campaign was running, it would have had the ad attached, BUT… it should not be attached to the files now. I will download this one myself, and check it out. Thanks for the heads up! This is my 1st time so be gentle. I bought my 1st iPod in Jan ’08 and started putting music and photos on, I found iTunes and podcasts, I was thrilled then I found you. I sooooo LOVE your podcast, it is soothing, funny, enlightening, friendly, loving, musical and informative. Not to mention THOUGHT-PROVOKINGNESS what a great word and so appropriate. Written by Monica on Oct 7th ’08. I downloaded all your back catalogue, so to speak and went on to listen happily. I also have trouble sleeping with CFS and listen to you while in bed, I find your voice so soothing with no surprised to make me jump that I find myself drifting off naturally the only problem then is to rewind to find out where I remember I was before entering the land of Nod. I’m not opposed to ads myself, but also prefer to have them at the beginning and end of your podcasts. Would also love to have Craft Related ads if that is at all possible. But whatever you decide to do Brenda I’m here to tell you that I love you and what you do. Your life and home stories are so interesting and I often laugh out loud to myself and have done it on the bus too. I’m not worried what other passengers think as I have often laughed out loud and giggled outrageously while reading on the buses in the past. Keep up the good work, always look forward to hearing you. I have listened to some other knitting podcasts including Webbs husband and wife team, which I like. Found a few that I wasn’t keen on with sisters giggling and not a lot of input. You are so so FAB keep charming us. Lots and lots of LOVE to you and yours.